As promised, Apple’s first major iOS 8 Update has shipped today and it’s with features, fixes and, of course, the company game changing Apple Pay mobile payments system. 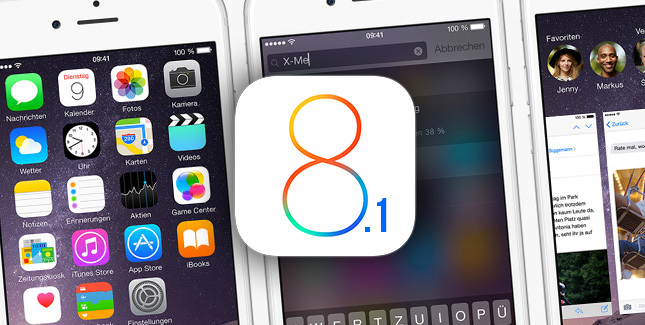 What’s new, fixed and/or exciting in iOS 8.1? Step inside, my friends, step inside. Although iOS 8.1 is hugely important, the actual update file is quite modest in size — about 50MB for my iPad 3. Apple Pay: What, Where, Is It Safe! Assuming you have an iPhone 6 or iPhone 6 Plus with iOS 8.1 installed and your credit card info input you can make mobile payments with at Apple Pay service include McDonald’s, Apple Stores, Whole Foods, Walgreen, OpenTable, Staples, Panera and scores of other retail establishments with scores more regional and national chains expected by year’s end. Additionally, America’s three biggest credit card issuers — Visa, MasterCard, American Express — all participated, as do the nation’s top banks (Citi, Chase, BofA, CapitalOne, Wells Fargo) with another 500 coming aboard over the next year. What makes Apple Pay that simply swiping your card and then signing? With Apple Pay, retail stores can’t lose your vital data to hackers because they never have your data. If Target and its customers had been using Apple Pay, BlackPOS would have captured zero data.